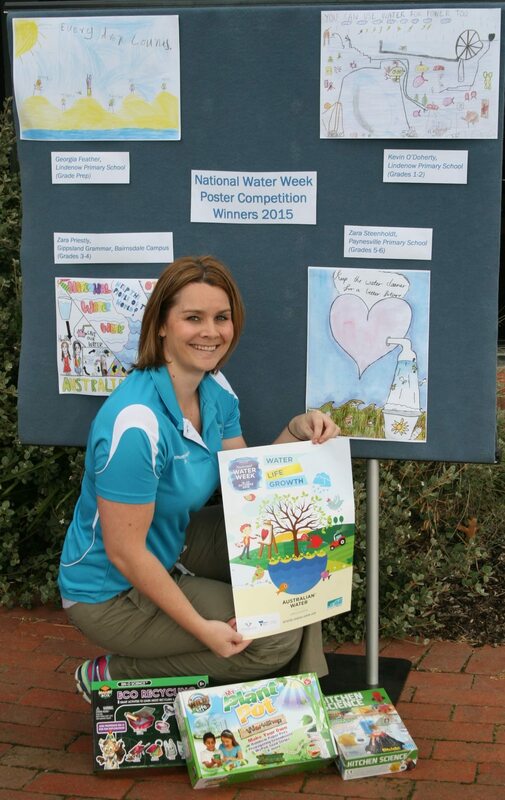 There is still time for local primary schools to get creative with the National Water Week Poster Competition. This annual initiative is supported by East Gippsland Water and provides a great opportunity for primary students, including home-schoolers, to put their artistic talents to the test, while learning more about the importance of water and using it efficiently. The closing date for entries is this Friday, 2 September, with the winners to be presented with their prizes during National Water Week (which runs from 16-22 October). As well as any cash prizes which may be won this time round at state level, we will also be awarding prizes, including science experiment kits, to winning students, and a fun, educational prize to their school. Students are encouraged to create a poster reflecting water-related issues that are important to them. If they can connect this with what East Gippsland Water does, so much the better. There is plenty of information on our website which can be used for inspiration. Information about the competition has been sent out to primary schools. For more information please contact our communications and education team on 5150 4452 with any queries.